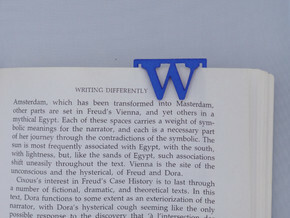 This trendy, personalized bookmark helps you keep your place in your favorite book. 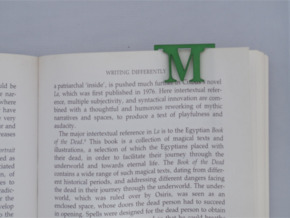 You can use the bookmark in two different ways. You can simply place the bookmark between two pages or you can attach the bookmark to a page. Simply bend the letter a bit and slide the it over the page. You will see the letter on one page and a rectangle on the next page. The bookmark fits every type of book and it hardly sticks out. It makes a great personalized gift for book lovers of all ages. For Christmas, birthdays, Mother’s day, Father’s day, graduation, book- club celebrations, Christening, Baptism, Bar Mitzvah , Bat mitzvah, Confirmation or any another occasion. The bookmark is suitable for any budget as it is available in plastic – in a variety of bright colors – as well as in solid silver, solid gold, brass , gold-plated metal , silver-plated metal and aluminum. 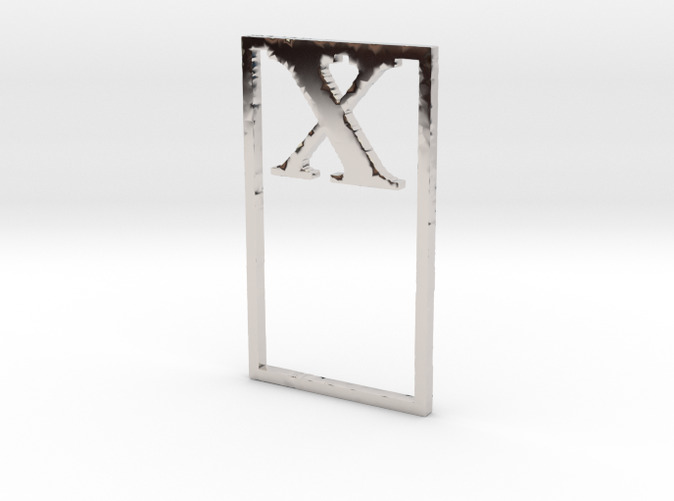 This bookmark is the perfect way to personalize a book you are giving as a gift. 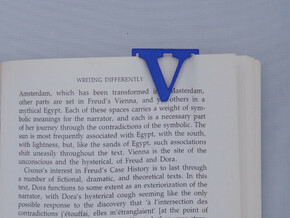 Use it to mark a particularly meaningful passage or section of the book for the person receiving it. 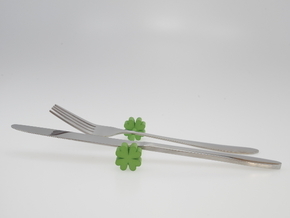 It’s an appropriate gift for students, travelers, employees, and party guests. It can also be used as a promotional gift for your bookstore, school, business or company.